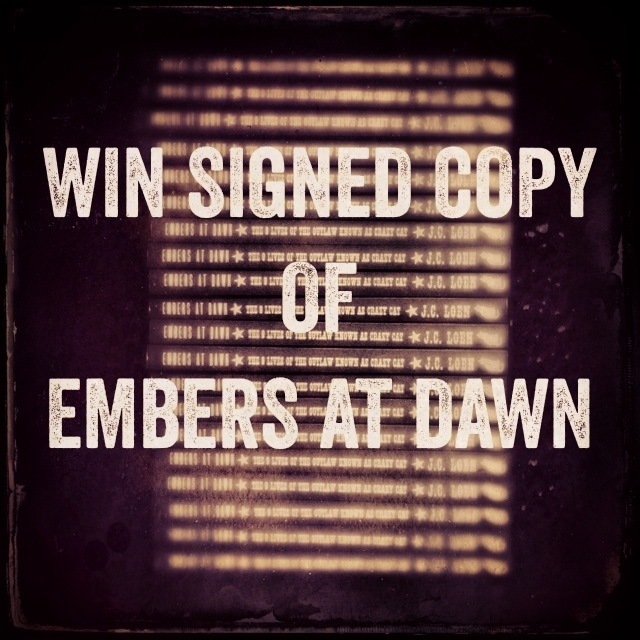 Enter the giveaway on Goodreads for a chance to win one of 9 signed copies of the paperback edition of Embers at Dawn. Embers at Dawn peaked at #11 in Amazon’s free best sellers list for westerns in the UK and at #12 in the US when I ran a Kindle edition giveaway last week. Thanks for all the downloads! This entry was tagged "9 lives", "embers at dawn", "old west", book, competition, Crazy Cat, Free, giveaway, JC Loen, novel, outlaw, paperback, signed, the 9 lives of the outlaw known as crazy cat, western. Bookmark the permalink.